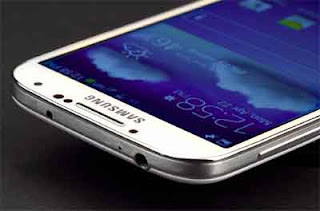 One of the most common problems Samsung Galaxy S4 owners experienced is poor signal / service reception. In fact, we have received a lot of emails related to this problem. The thing is, it's widespread and does not just occur to a specific carrier. I will include the email messages we received from owners who bought their phones from AT&T, Sprint, T-Mobile, Verizon and U.S. Cellular. AT&T Customer: Team, I have a little problem with my Samsung Galaxy S4, which I bought from AT&T just recently. Starting last week, the signal reception was on and off in my phone and it happens several times a day; just enough to annoy me especially when I badly need to call someone. Can you help me with this issue, please. Thanks. Sprint Customer: I have a Sprint Galaxy S4. Yesterday I had to spend two hours on the phone with a tech support because I was no getting any signal on my phone. It wasn't a network problem since my wife had service in her phone (also from Sprint). The tech support wasn't able to help me with my problem. In the evening, I regained my service and today it's out again. Is this a common issue with this phone? T-Mobile Customer: No service for three days now. Tried contacting support but they were useless, some don't even know the status of their network. Help me with my problem. Thanks. Verizon Customer: I hope the problem I'm experiencing right now is not that common because if it is, I will return the phone and have it replaced with a new brand. I don't have signal for the entire day now, I can't make a call! Do you have suggestions how to fix it? U.S. Cellular Customer: Just talked with a support tech from T-Mobile. I called regarding my phone, Galaxy S4, because since yesterday I have no service. The reboot fixed the problem temporarily but now I don't have service again. Any suggestion would be appreciated. · Account is not active or is not set up correctly. · Incorrect SIM is card being used. · Switched from one carrier to another. Please verify your account is in good standing. If you never received signal/service on your device, please contact your Service Provider to verify your account is provisioned correctly. Verify Airplane mode is not active on the device by pressing and holding the Power button for one or two seconds. If Airplane mode is not active, you will see Airplane mode is OFF. Otherwise, touch Airplane mode to disable this feature. If issue persists, continue below. To re-establish a connection with the mobile network: With the device still on, remove the battery for 30 seconds. After the time has elapsed, replace the battery and power on the device. Wait a few seconds for the device to connect to the network. Place a test call to your Voicemail. Sounds like have damaged your internal aerial and now it is stuck on external aerial you are going to need physical repairs same thing happened to my galaxy note 2.
s4 mini hopeless reception in a rural area. iphones next too me have full reception and I have almost none on the same carrier. Dont buy one! Don't buy Samsung. they. Can't fix their own phones.